one man band or big cheese. Whether you are a small start-up business or the head of a large enterprise, E2E Solutions are experts in Ecommerce and can help you plan, design and build a successful ecommerce website. We have cost-effective ecommerce solutions designed for small or startup businesses as well as vast expertise in building bespoke and integrated solutions for clients with bigger budgets. on platforms such as eBay and Amazon. E2E Solutions specialise in ecommerce web site design, was formed in 1999 and has been designing and building ecommerce sites for over 18 years. During this period we have developed our own ecommerce software (E2Ecommerce) that has been designed from the ground up to be ultra efficient in search engines such as Google and Bing. We now use the latest technologies such as ASP.NET and Microsoft SQL Server to deliver best of breed ecommerce web sites and ecommerce solutions for our online retail customers. We understand ecommerce is more than just adding a shopping cart to your website, we understand the business implications of trading online and can help and advise clients in these areas. Our ecommerce framework not only allows us to design attractive and user friendly ecommerce sites, but also produces Search Engine Optimised ecommerce pages. Our ecommerce solutions automatically optimise the web sites, producing search engine friendly URLs, Meta Data and html tags - but also allows our clients to fine tune the SEO relevant data themselves. We work with both small and startup businesses and large corporate clients so we can fully tailor our solution to the client's specification or budget. Although we are based in Coventry, in the West Midlands, our clients come from as far as Glasgow or Brighton - the nature of the internet allows us to work nationally (and even globally at times). Projects to date have covered every aspect of ecommerce, and we are never afraid of a challenge! Our order management system allows you to easily communicate with customers by emailing automated order status updates. The E2E framework creates invoices, picking and packing notes and can print stored customer and order histories. The E2Ecommerce framework is at the heart of many successful online retail websites, and for businesses that have moved to us from other platforms, its been proven to drive significant sales growth. The E2E framework has an intuitive browser-based content management system that enables you to manage your online store from any internet connected computer. 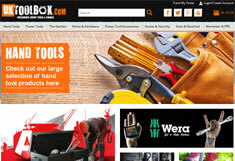 You control products, categories, options, search, special promotions and more. Search engines have been at the forefront of E2E's development process, combining search engine accessibility and optimisation tools which mean you can optimise your product, category and content pages quickly and easily without the need for SEO skills. We can integrate our ecommerce solution into all the online payment solution providers, such as SagePay, WorldPay, PayPal, PayPal Pro, Amazon Pay (Payments by Amazon), Secure Trading, NoChex, Barclaycard and Verifone, allowing our clients to take credit card payments by any of the popular internet payment gateways. 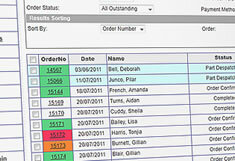 E2E's Manage Orders screen allows you to quickly process new orders, update order status and search for orders by a variety of search criteria. With over 100 active ecommerce clients our ecommerce solutions are proven and helping many successful online businesses. 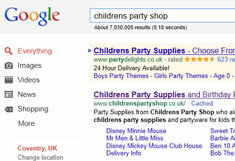 All our sites are Google friendly and our CMS allows you to easily optimise your pages and products. We have knowledge and experience working with the most popular online payment gateways. What else can I have? If you want to sell products on other platforms such as eBay and Amazon, our Multi Channel Ecommerce software is the solution you've been searching for. Manage both Products and Orders in one simple interface, easily list items on your website, eBay and Amazon and use one interface to process your orders. We can develop an app version of your main ecommerce or brochure website, meaning you'll reach a whole new audience or provide existing customers with a convenient way to buy from you on the move. E2Ecommerce has components for both Google Base (Froogle) and Google Site Maps, making sure your product catalogue gets maximum exposure in the web's most popular search engine. We can import and export your product data to and from external feeds (such as supplier XML feeds) to simplify and automate the management of your product data and deliver a truly end to end ecommerce solution. Our team can integrate your e-commerce website into your existing back office applications. Whether this is pushing product data from your EPOS system to your website or passing orders directly from your online shop to your order management system. Got a project or idea you'd like to talk about? Fill in your details and we'll get in touch asap. If you would like a quote then please complete this quick form and we'll get in touch asap.